Real Madrid are lining up a swoop for Chelsea midfielder Eden Hazard as their top transfer priority this summer, according to Spanish newspaper AS. The European champions are determined to try and bring the Belgium international to the Spanish capital this summer after having been linked with a move for the midfielder for years. The report says that Los Blancos have essentially ended their pursuit of Christian Eriksen and they will now focus their attention on trying to land Hazard this summer. The 28-year-old playmaker is widely regarded as one of European football’s top talents and the player has been in excellent form for the Blues, having scored 10 goals in 22 Premier League appearances so far this season. The report goes on to claim, the La Liga giants would not be willing to pay more than €100m to land the Belgian this summer. 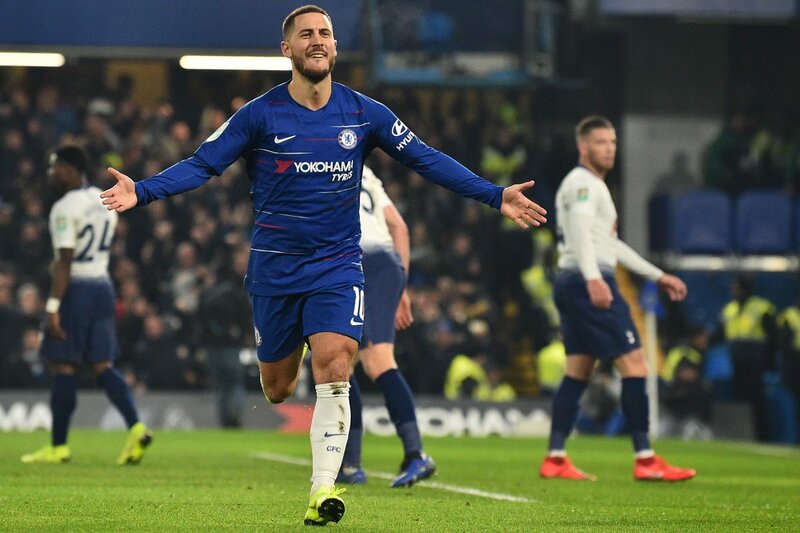 Hazard’s current contract is due to expire at the end of next season and he is yet to sign a new deal with the west Londoners, meaning that he could potentially leave for free in 2020 as things stand. Posted on January 28, 2019 by Sammy Jakes.